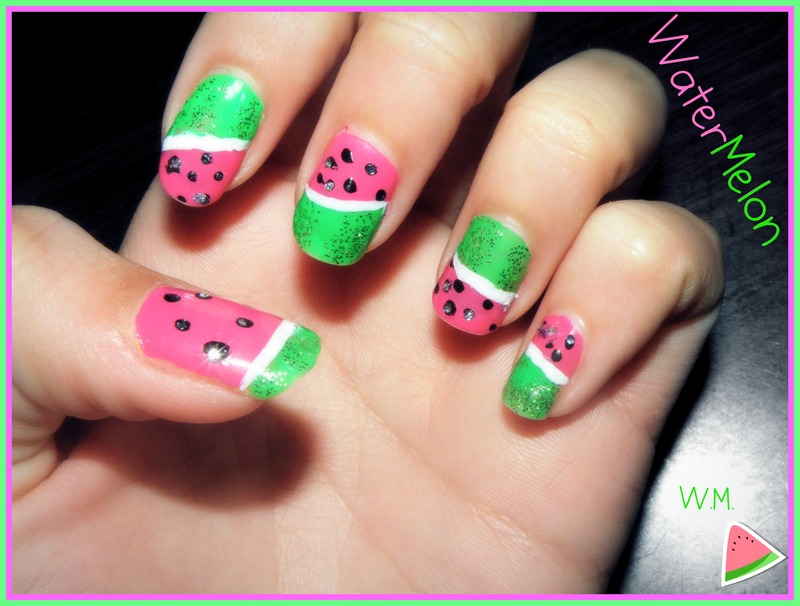 WaterMelon: That was actually my first EVER Attempt In Painting My Nails Like That! Grey & Purple: I don’t really like this one. 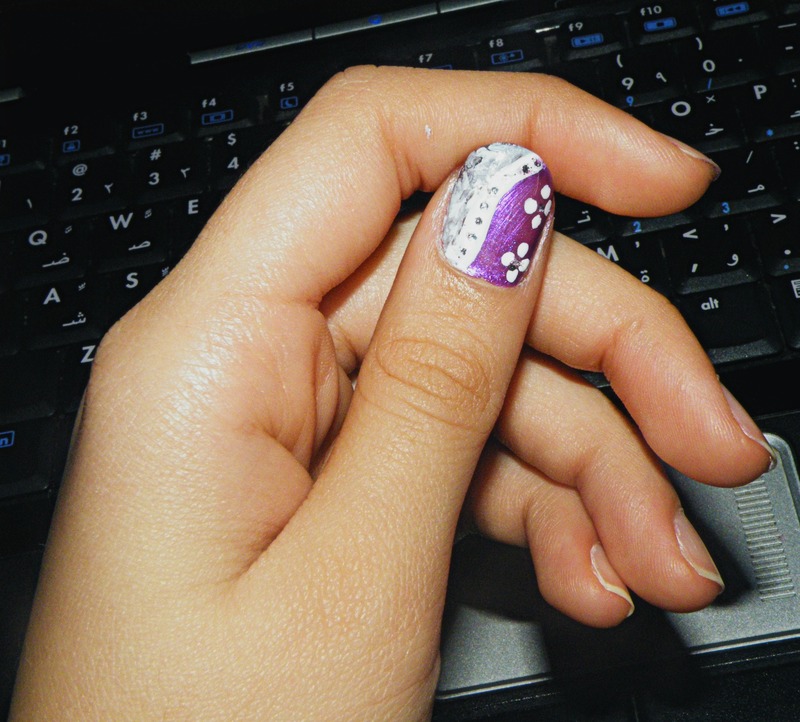 Purple Winter: These were my Eid nails. Ramadan Kareem 2012: Thumb is the book of the holly Quran, then the yellow thing was supposed to be Fataayer.. Fail .. 3rd is Half Moon, 4th is “Fanooos”, 5th are stars. 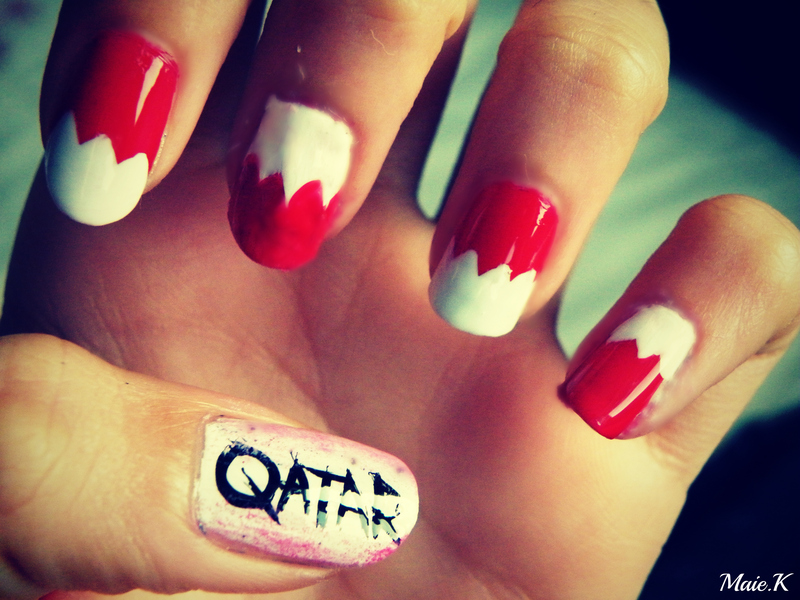 Qatar Flag: Sorry for the bad quality, I took it with my phone. 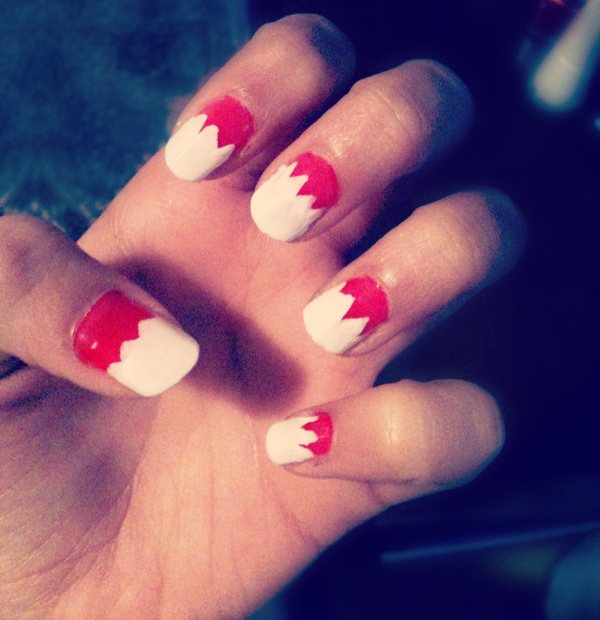 –Qatar National Day. 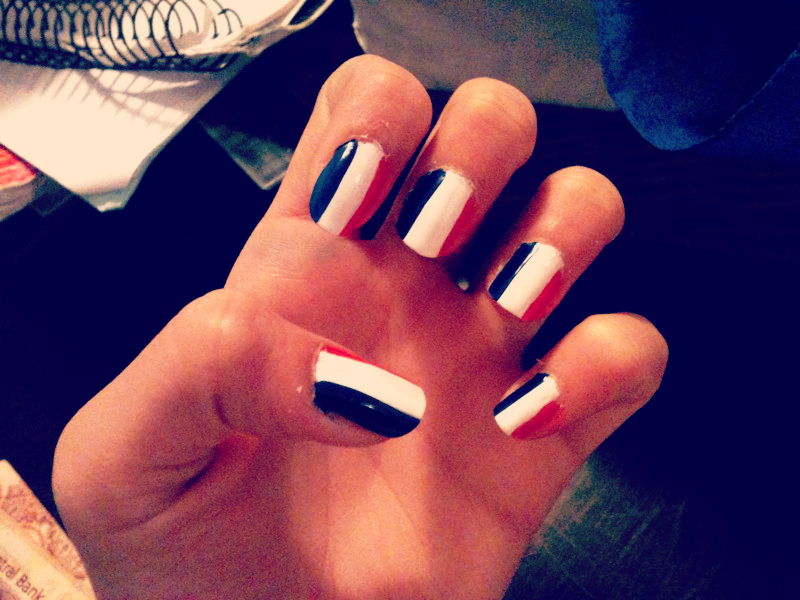 French Flag: – French National Day. Bright Blue: I actually mixed colours to get this colour. 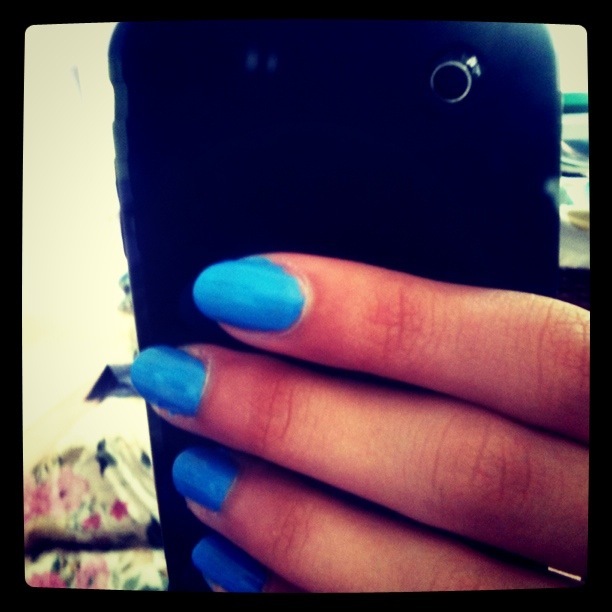 I had a bright dark blue, but I wanted a summery blue. All I did was mix the bright dark blue with my white nail polish to get this! So easy right ? Green Grass & Blue Sky. 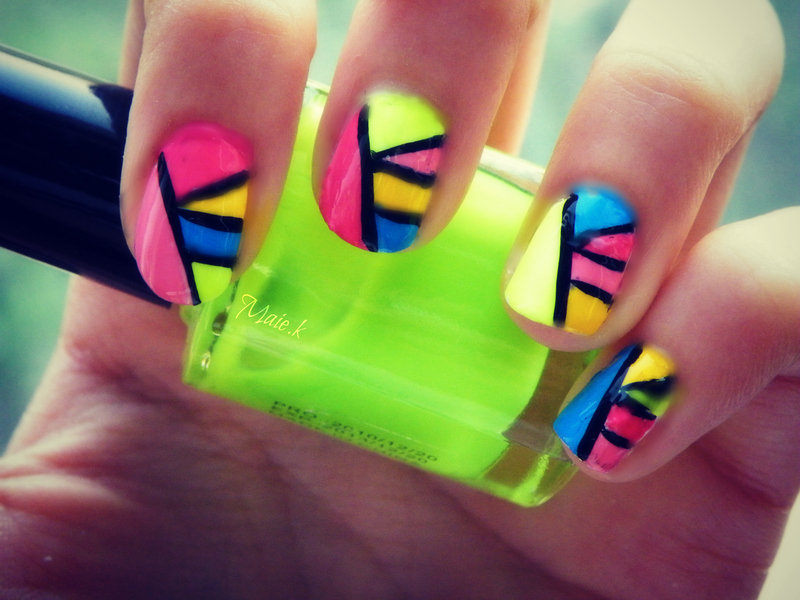 Neon Summer: Just to let you know I didn’t create this design it was requested by my friend Layla :). 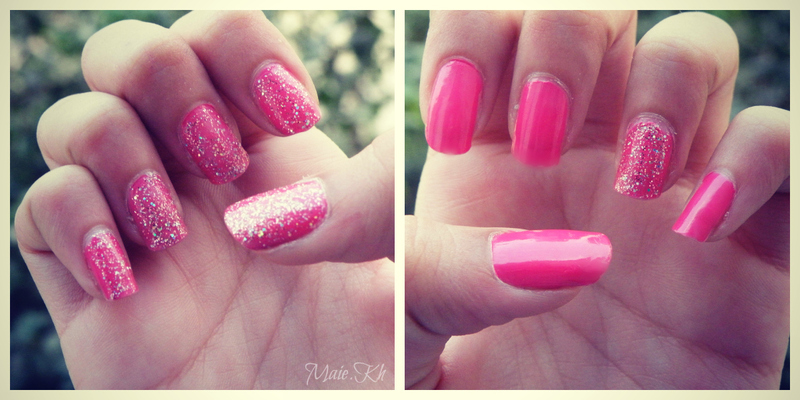 Eid Nails – Day1: My Eid Dress Today Is Simply Pink & Flowery, Not The Hawaiian Style More Of An Elegant Touch. 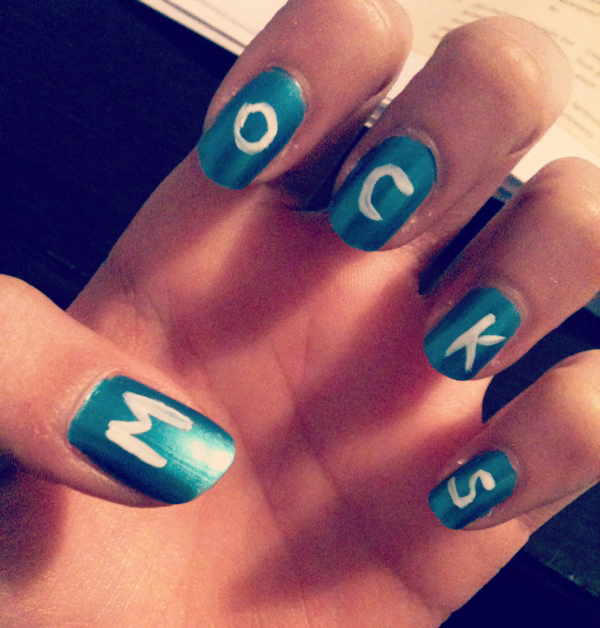 So I Thought Those Nails Fit With Them Perfectly. 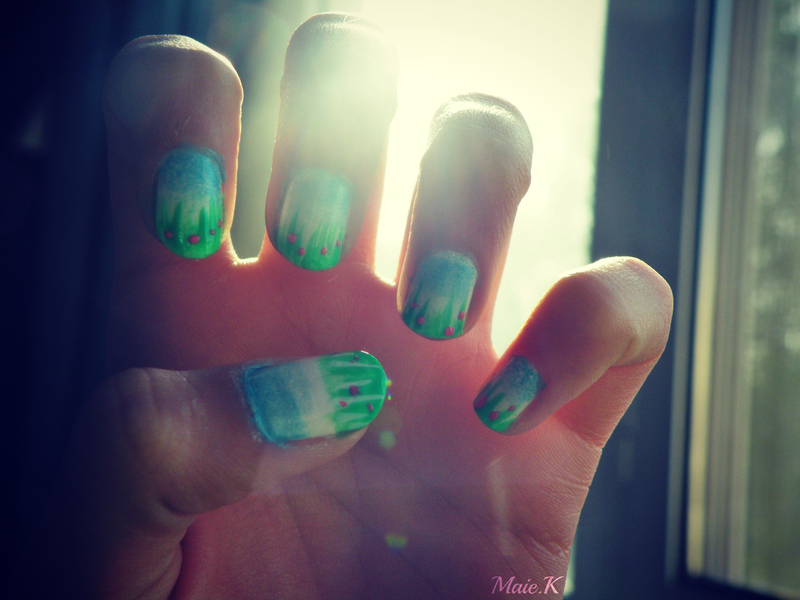 Eid Nails – Day2: Today I wore a green skirt with a white formal shirt so I thought to give my nails a little edge. 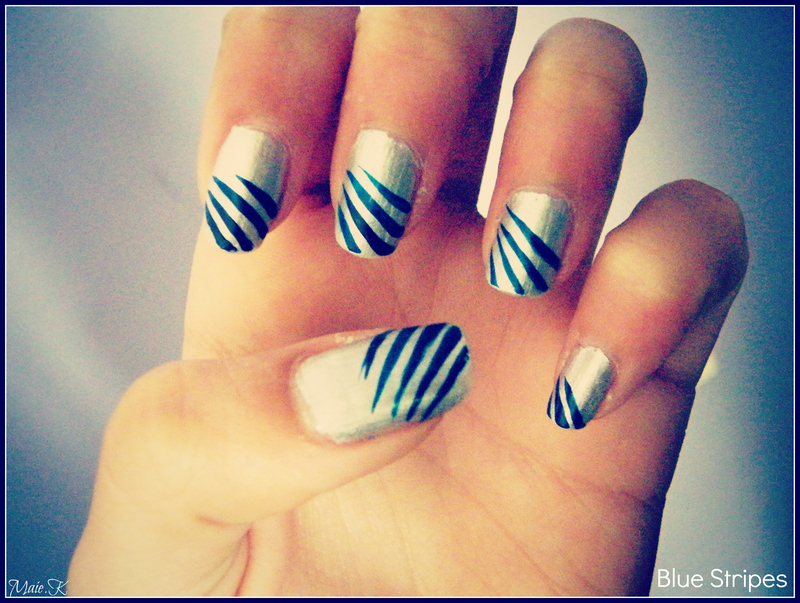 I lovelovelove the silver at the end of my nails, it gives it such a glamorous look ! 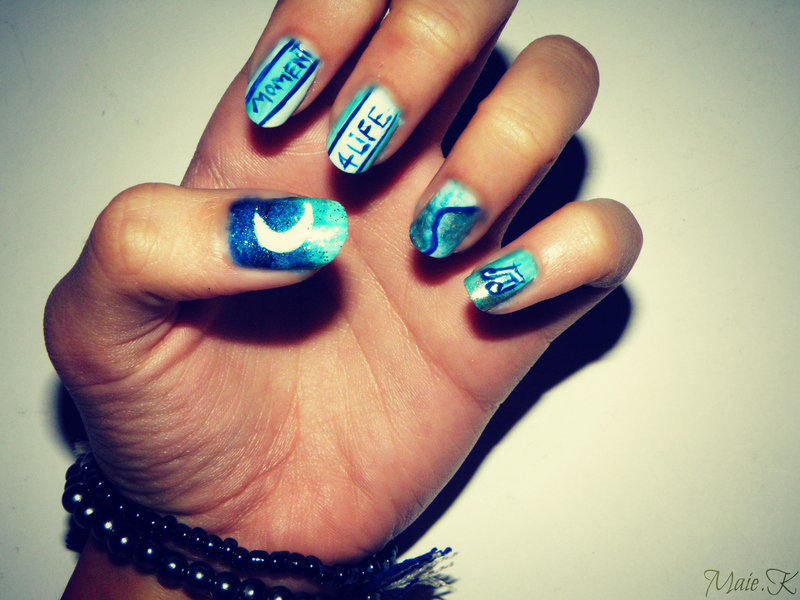 Moment For Life♫: These nails are based on a song. The reason why I chose the colour blue is because the theme of the music video is pretty much blue. Starting From My Thumb; It’s a night’s sky & a moon. The reason why I added that because in the song she says “I fly with the stars in the skies, I am no longer trying to survive“♫. Then obviously next finger “Moment” the other is “4Life”. And then some random thing I honestly don’t know what I did there but yeahh and finally “♫”. 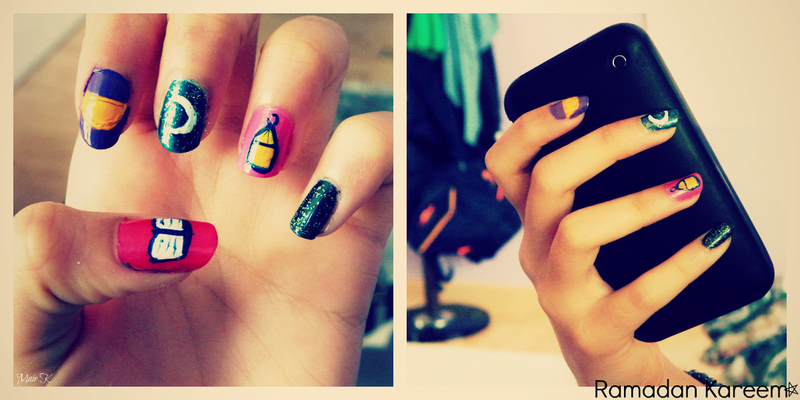 Neon Nails: Bright Yellow! 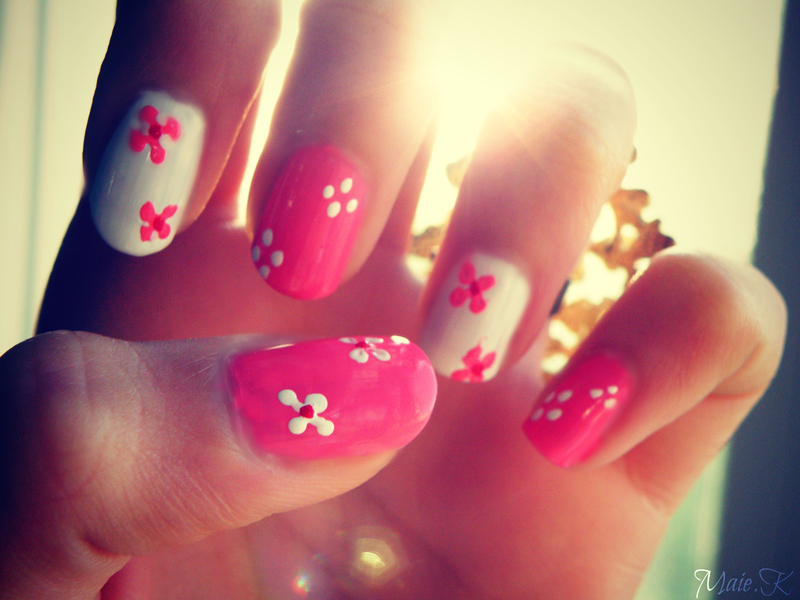 So Summery! 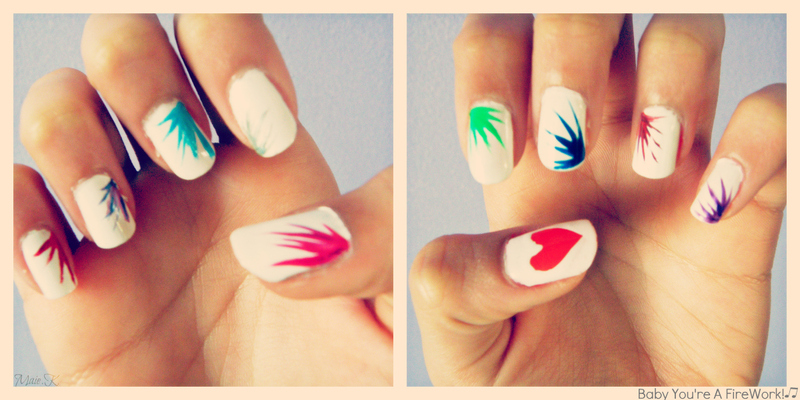 Me Love. 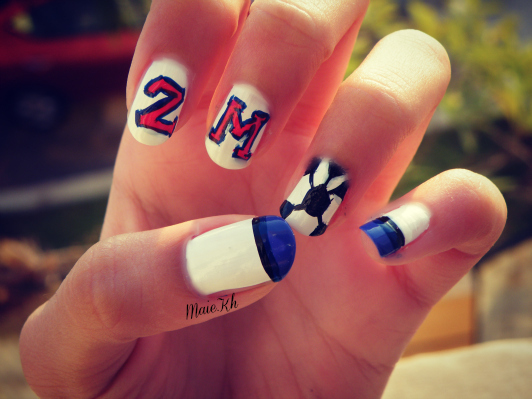 Soccer Spirit: So we had a soccer competition. 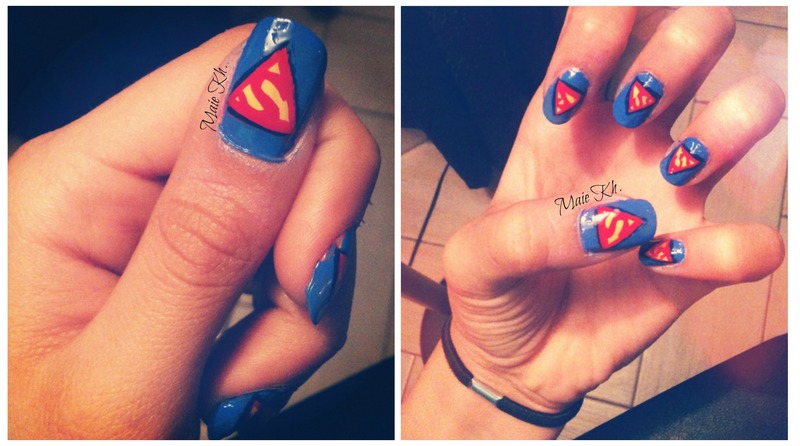 And I wanted to do something special with my nails. My shirt was number”2“. 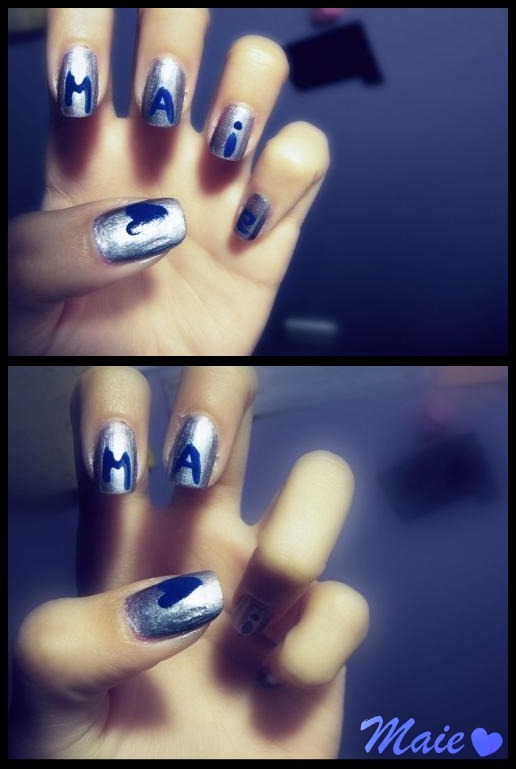 And my name starts with the letter “M“. Then I added a deformed soccer ball haha. It looks so bad. And the colours of our Kit. 🙂 Team Spirit! Oh, and we came second place :). Dark Night Out: I was going out to a birthday party at night. 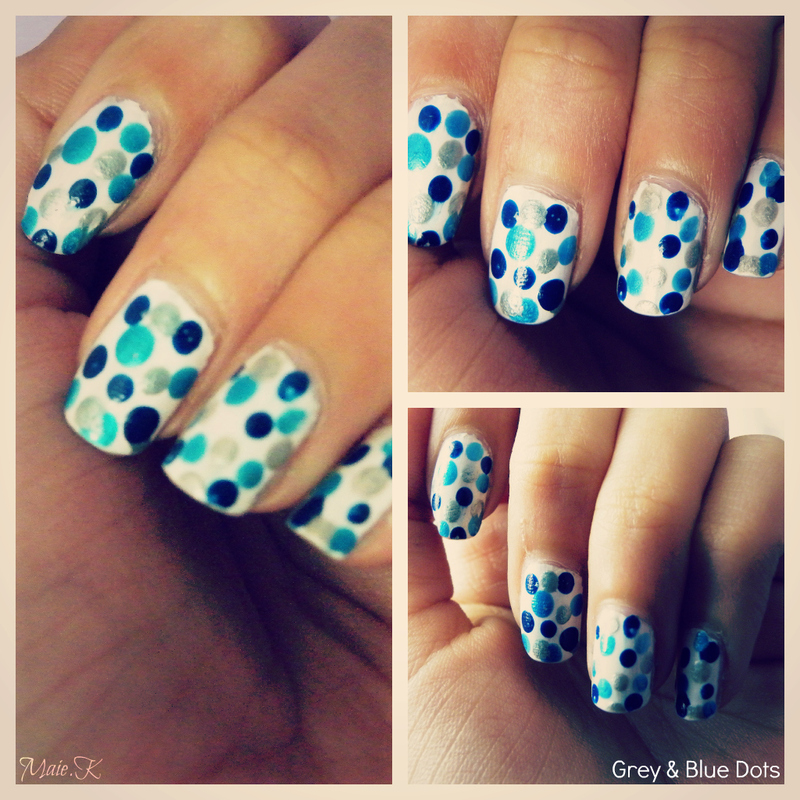 So I decided to make my nails edgy by using dark blue, but abit sweet by adding white dots that look like flowers and glitter on my ring finger. 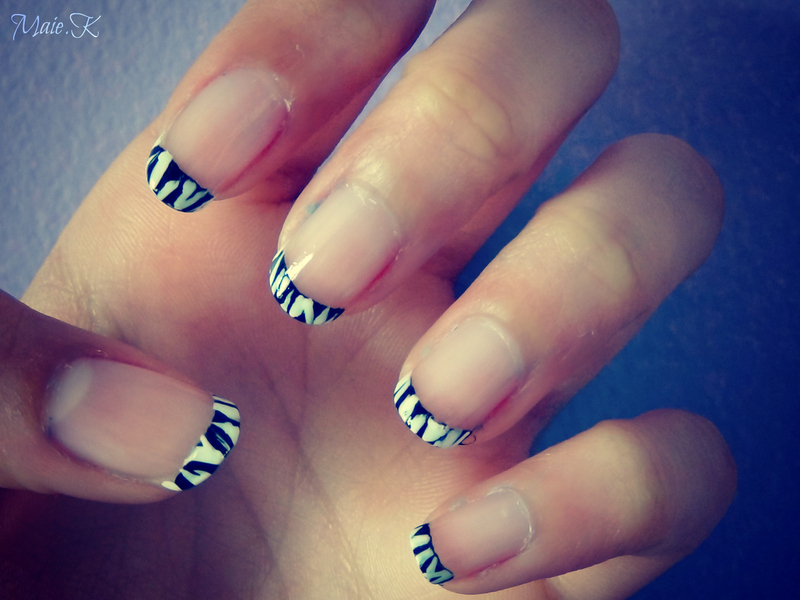 Simple, easy, and pretty. 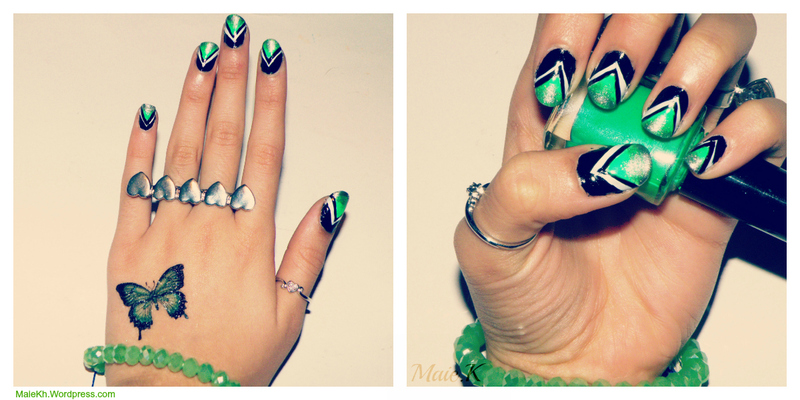 Yemen Nails: So I was inspired by this ring that my best friend gave me. It’s all the way from Yemen. It has such nice patterns. 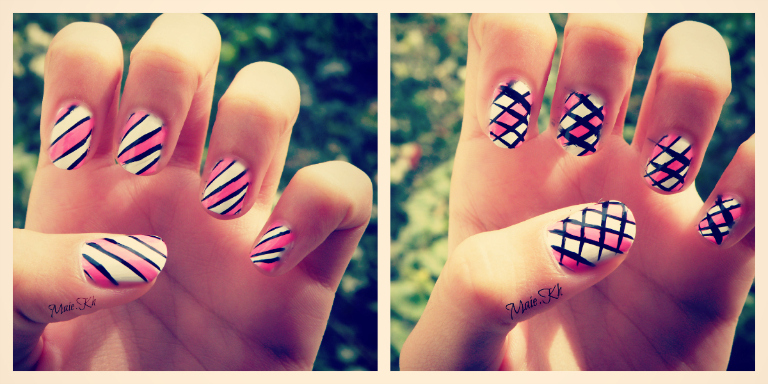 So I decided to put the same patterns on my nails but as you can tell I miserably failed. It looks nothing like the pattern on the ring. It looks like a Chinese/Japanese drawing talking about war. 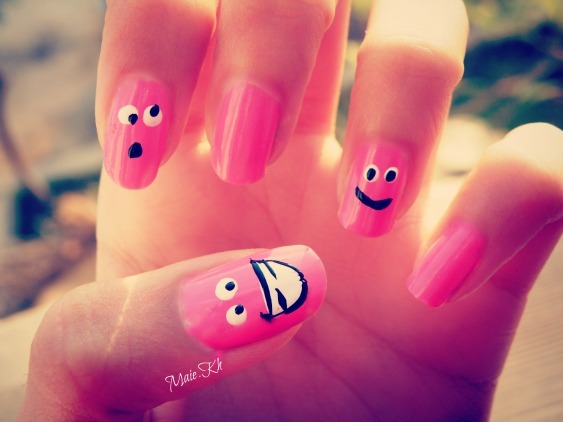 Haha, most people are probably not going to like this nail design. But to me it’s special :). Violet Nails: This is SO my Winter Colour this year. It’s such a calm colour and so beautiful and feminin. I am inlove. 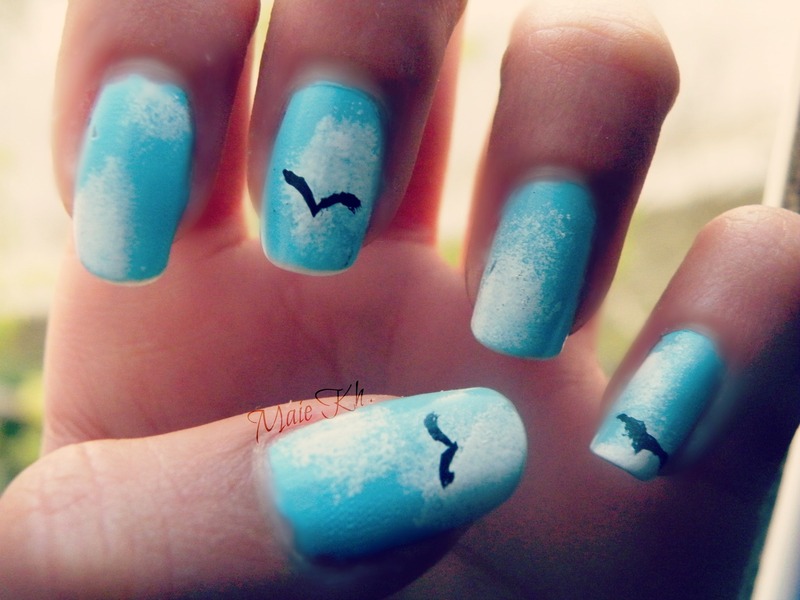 Blue Sky Nails: I’ll be in the sky.They’re such happy & peaceful nails. One of my favourite! 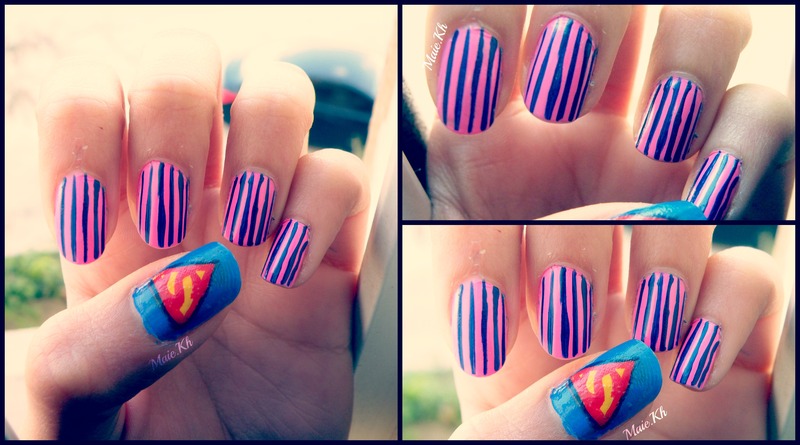 SuperMan Nails: I never thought I’d actually be able to draw this onto my nails, But I did!! I recieved ALOT of compliments even from the guys! 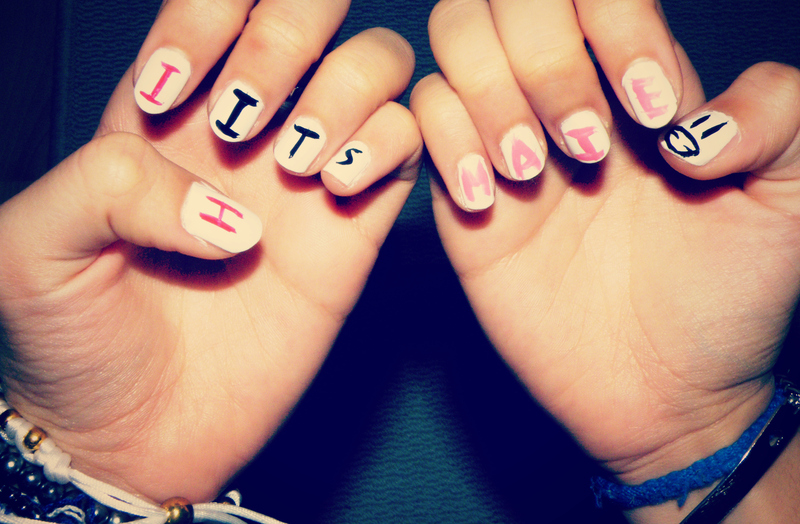 – They’re not even interested in nail art. – One of my favourite ever! 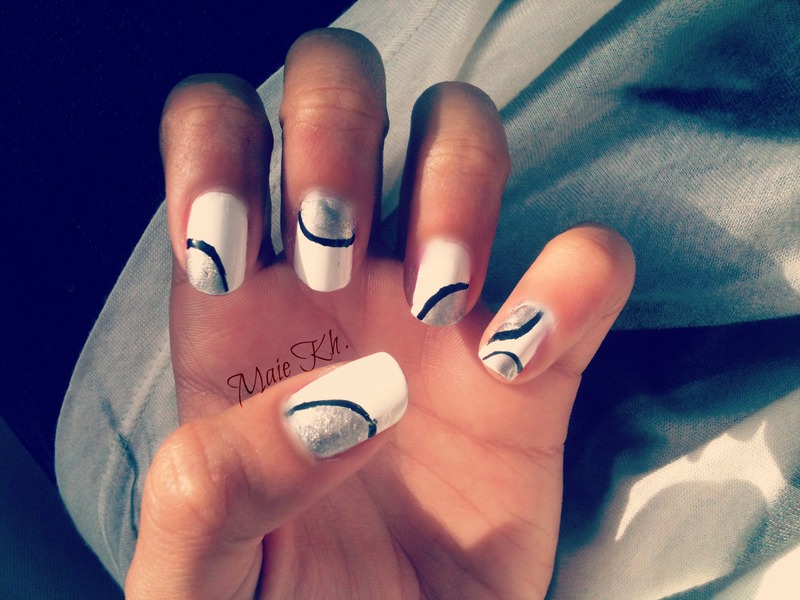 Black, White & Turquoise: I didn’t create this design, it was inspired by it. 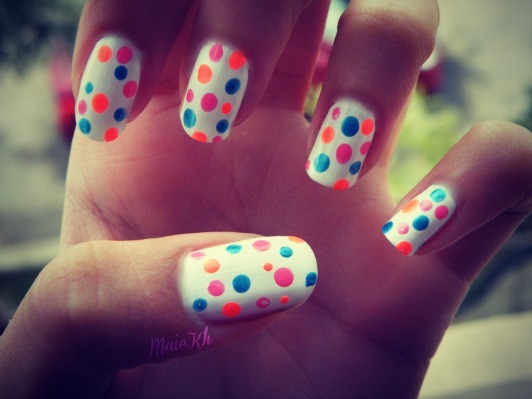 I Was Challenged To Do A 30 Day Nail Art Challenge Click Here To See It ! Or You Can Click Here To Go Back Home. 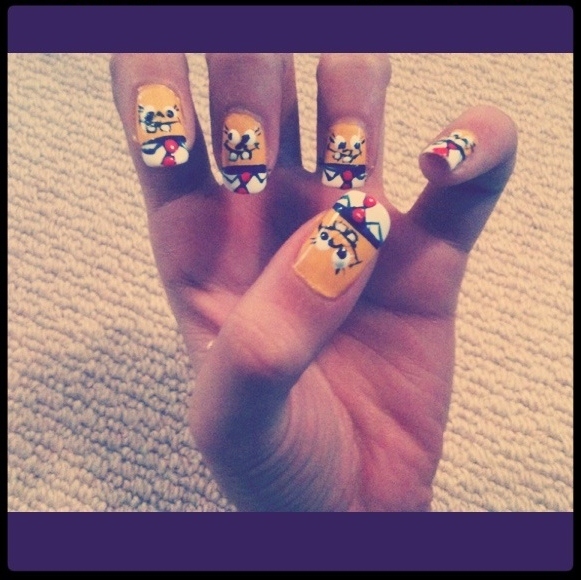 OMG BABE THEY’RE LIKE WAAW. 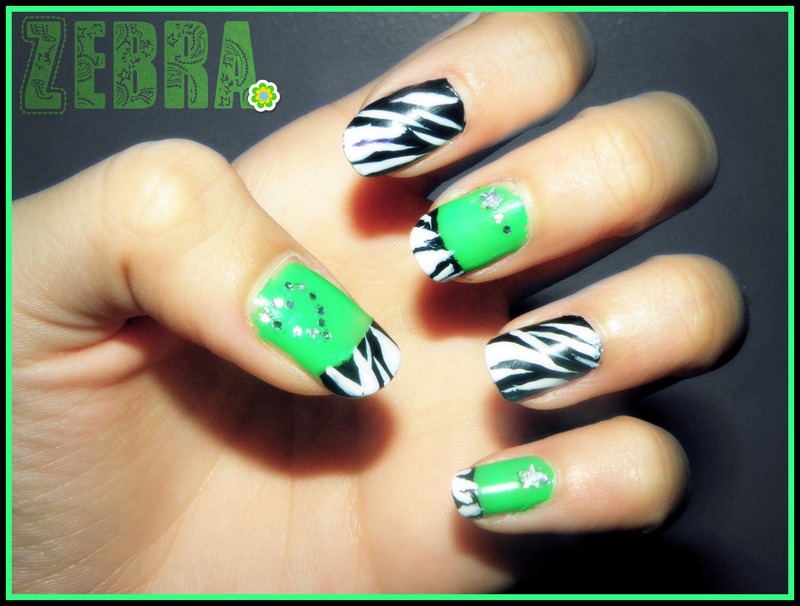 OMG I LOVE THE FRENCH ZEBRA AND THE GREEN ZEBRA UP TOP. I love the last one you did it !!! 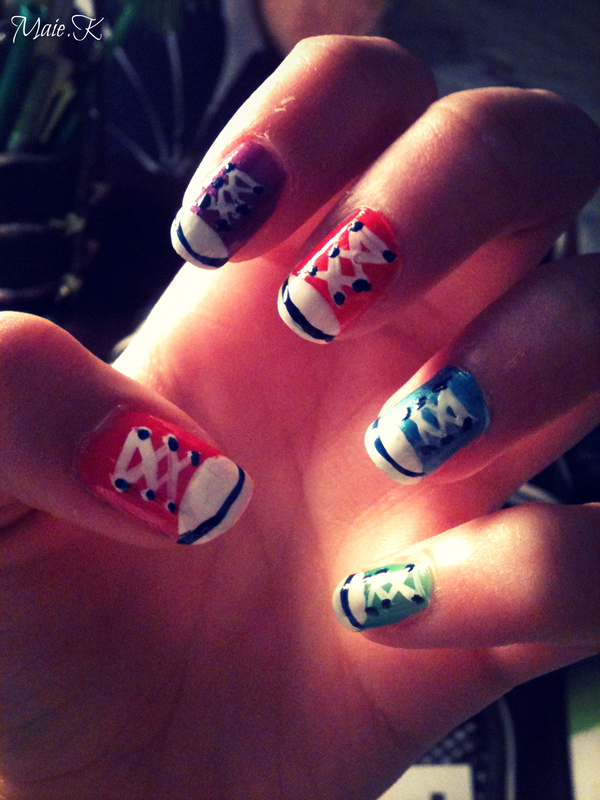 These are like amazing ..
Wow, Masha’Allah:) Have you ever thought about doing something big with your passion for nail art?